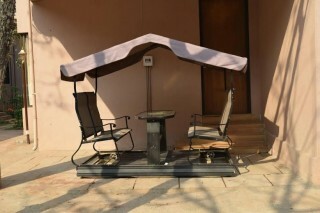 This is an offering of a four-bedroom bungalow, which can accommodate twelve people. This bungalow is perfect for a group of close-knit friends. 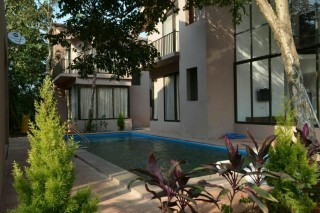 The bungalow has a shared swimming pool. Housekeeping services are offered by the host. Ample parking space is available for those on a road trip. 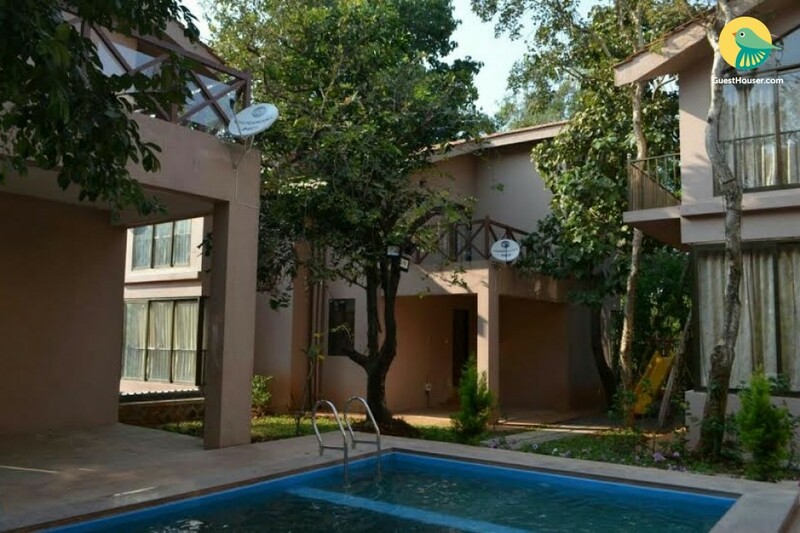 Your Space The contemporary bungalow is surrounded by lush greenery and boasts an azure pool, where you can take a plunge and feel refreshed. Inside, the common space features a high ceiling and is furnished with plush sofas and a dining table for mealtime convenience. 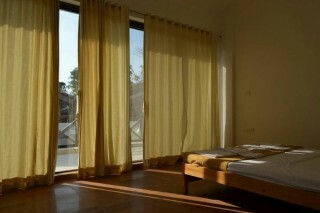 The rooms on offer are spacious and command a refreshing view of the surrounding greenery. 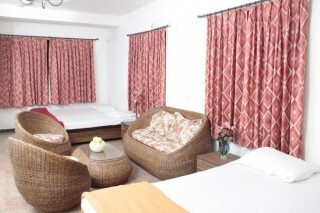 Each room is furnished with a comfortable bed and a coffee seating. 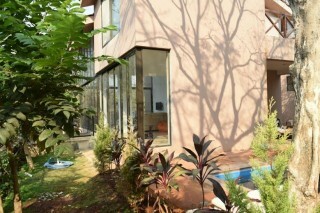 The en suite bathrooms are fitted with western sanitary ware and modern fixtures. Guest Access The guests can access the swimming pool, the kitchen and the garden. Guest Interaction The host welcomes feedback from the guests regarding their experience at the property. Housekeeping services are available. Neighbourhood Overview The property surrounds lush green hills and waterfalls. 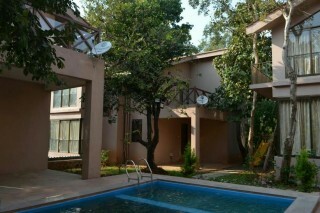 Getting Around The guests can reach the property via train and then take an auto rickshaw from Lonavala Train Station. Guests need to arrange private vehicles to for conveyance by road. Additional Information Room service is available here. Travel assistance is available on request.